Serbian pop singer who rose to fame with albums like Naj, Najbolja and Bez Ljubavi. 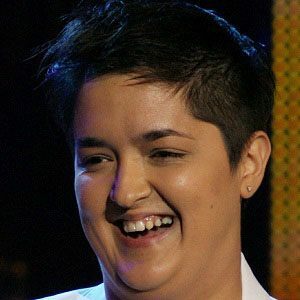 In 2007, she was named the winner of the annual Eurovision Song Contest with the song "Molitva." She was born the city of Kragujevac and grew up in a turbulent household due to her father's alcoholism. She has performed at political events for the Independent Democratic Serb Party and Serbian Radical Party. Her mother Verica Serifovic is a well-known folk singer. She and Austria's Conchita Wurst are both winners of the Eurovision Song Contest.